Buying or renting new lift equipment isn’t always a viable option for most businesses. New lift equipment, whether bought or rented, requires a large financial investment. Buying or renting used lift equipment appeals to many businesses because it’s significantly cheaper than new lift equipment. If you do decide to go this route, it’s important that you know how to properly inspect used lift equipment. First and foremost, get into the lifts cab and test it out. Make sure that the seat is secure and that there is a working seatbelt. Turn on the machine and listen for any weird sounds coming from the unit. Test out all of the hydraulic levers and run the lift through its full range of motion. Make sure that the lift drives correctly as well, both in forward and reverse. Also check the brakes for proper function. Go in a figure eight motion to discover any steering problems. You want to mimic similar on the job site working conditions so that there aren’t any surprises in the future. Lastly, check that all controls, lights, and alarms work. Depending on the type of lift that you’re shopping for, these tips will have to be slightly modified. For a used forklift, you’re going to want to check both the front of the lift and the fork. For any other type of lift, you want to inspect the front where the basket connects to the arm and the front of the lift. Carefully inspect these areas for any types of distortion – cracks, bends, or warping. If you do find damage, make sure that you carefully analyze the extent of it. If there is a minor bend, it may be able to be bent back to its original form. With cracks, it is best to not take any chances as this can be a huge safety hazard. Welding is not a reliable way to fix cracks and the cracking is likely to become much worse over time. Lift equipment is fitted with canisters as a source of fuel. A simple visual inspection for cracks, excessive rust, or other damage is all that is necessary here. You should not even consider for one second buying or renting used lift equipment without seeing it first. There are too many safety concerns and these machines are far too dangerous if they are not working properly. They can also cost your business money when they are down and not working. Additionally, they must be able to pass safety requirements. 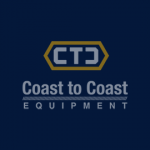 If you have any additional questions regarding our new or used lift equipment, please contact us and we will be happy to help you!